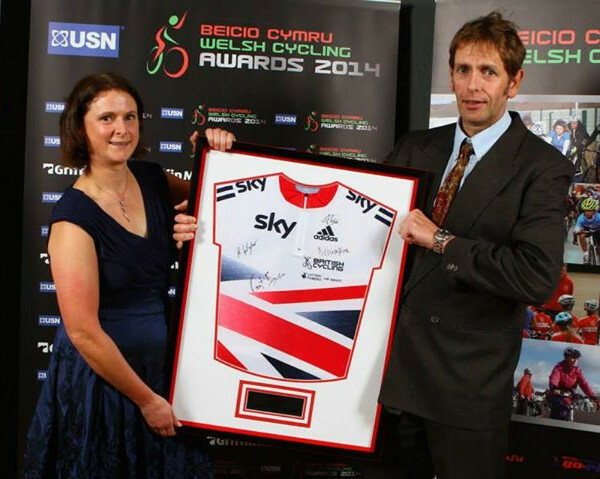 It was a good year at this years Welsh Cycling ceremony for VC Melyd. Here we have our esteemed leader Alan taking possession of a signed jersey for the award for the club with most new BC sign ups. VC Melyd is a diverse club, that is growing as it has never done before – larger now than it has ever been. Ballooning over the last few years. A reflection on hard work put in by our officials and club members. Thank you all.